Preparing for a big move can be an exciting adventure, but it can quickly turn to dread if you feel like your list of things to accomplish is a mile long. Between the countless amounts of boxes to pack, getting utilities turned off at one address and on at another, and figuring out how to safely move your belongings from house A to house B, you might forget to check a significant item off your to-do list: Changing your mailing address. This simple, yet crucial part of moving is as uncomplicated as it gets, with two convenient options through the United States Postal Service. 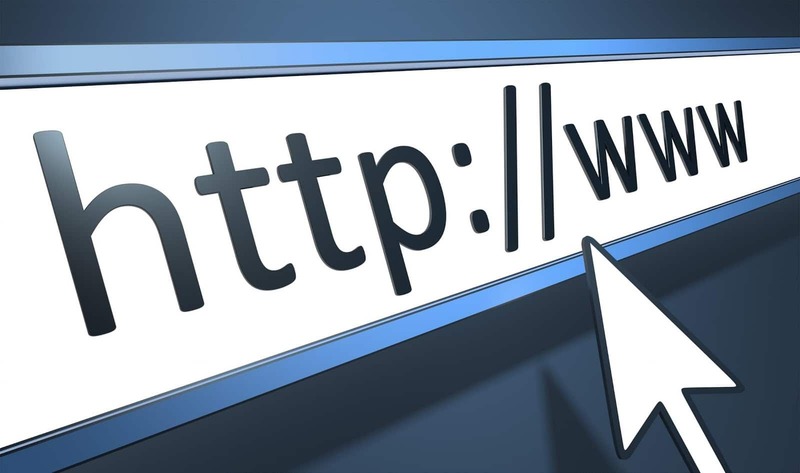 The USPS offers a quick and easy online service at https://moversguide.usps.com. Just log on and follow the prompts. You may choose between a permanent move or a temporary one if you plan to return to your original address within 12 months. If the move is permanent, the USPS will forward your mail for up to six months, with extensions available if needed. If the move is to be temporary, you can have your mail delivered to a different address for as little as 15 days and as long as six months. If your short-term move lasts longer than six months, you may extend the forwarding up to one year. This option is very useful for active military that might be deployed or in training, and thus unable to check their mail daily. If your entire family is moving, the USPS makes it easy to forward every family member’s mail by merely clicking the FAMILY box. If your family members have different last names, or if every member is not moving, note that you will have to fill out separate mail forwarding forms for each person. The USPS will require a valid email address for your change of address request, as well as a one-time ID verification fee of $1.00. This small cost, which you must pay with a credit or debit card with an address matching your current one, is actually for your identity protection. By paying with a verified credit or debit card, you are essentially proving to the USPS that you are who you say you are and that you have the authority to change your address. After submitting your request, you’ll receive an email confirmation immediately. Within five days, you should receive a letter at the address you are leaving, confirming that your address change was submitted. This second security measure from USPS is designed to inform you if your address gets changed without your consent. Finally, the USPS will deliver a Customer Notification Letter and Welcome Kit to your new address. If you prefer, head over to your local USPS and ask for a change of address form 3575. You will receive a packet to fill out which you can turn right in immediately. You will avoid the $1.00 verification fee by using this method. Please note that while the USPS previously took the change of address requests over the phone using an automated system, this option is no longer available due to personal verification restraints. When Should You Schedule Address Forwarding? A bonus feature the USPS offers is that you can schedule your mail to be advanced up to three months before your moving date, which makes this an easy task to cross off your moving checklist way before you seriously feel the stress of the move. After you sign up for mail forwarding, allow the USPS at least 7-10 days processing time from the date you selected before expecting mail at your new address. Don’t Know Which Method You Should Use? The United States Postal Service recommends changing your mailing address online if possible. It saves time and human resources, reduces paper waste and other resources, and dramatically decreases CO2 emissions. In fact, USPS estimates that CO2 emissions would drop by 46,000,000 pounds yearly if every single mover used the online system for their address change needs. Additionally, an enormous 2,600,000 pounds of paper would be saved a year with this method! 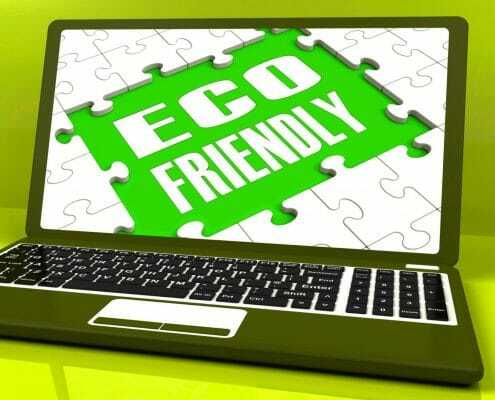 Join USPS and help our environment by utilizing the online system to have your mail forwarded. What if You Forget to Change Your Address with USPS? If you forget to utilize USPS mail forwarding, your mail carrier will take your pile of mail and hold it at the post office for up to 10 days. If you do not show up at the post office to collect your mail, it will go back to the sender. USPS will discard any mail they are unable to return to the sender. Unfortunately, by forgetting to have your mail forwarded, you also run the risk of personal correspondence getting into the wrong hands. 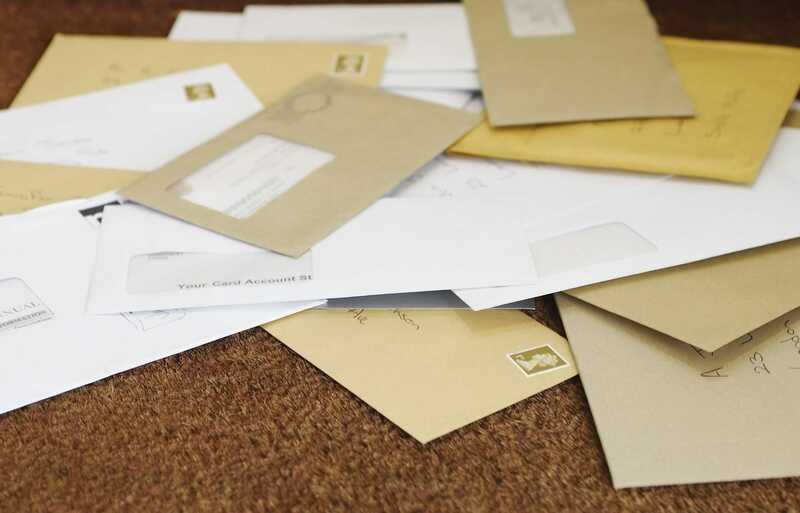 We’ve all experienced this: you receive a letter (or several letters) addressed to some other name at your address. You naturally assume the previous tenants did not remember to notify the post office of a change in forwarding address. The problem is, sometimes those messages are sensitive, such as insurance or medical bills, bank statements, even jury duty summons. 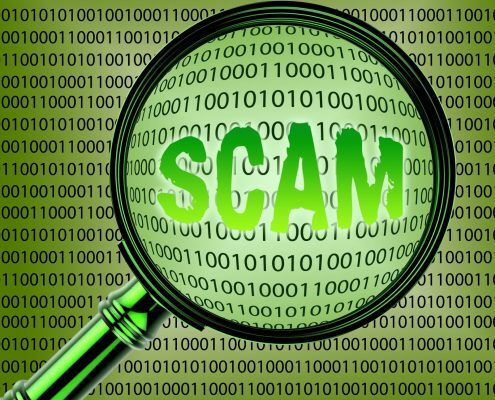 It is essential to be aware that there are several scams which prey on movers. In fact, there are even fake websites that claim to be official USPS affiliates. Fraudulent sites like these often charge large amounts of money to change your address. And, of course, your address will never actually be changed. Be sure that when you change your address online, you are at the official USPS mail forwarding website. Changing your address with the United States Postal Service is quick and easy. Consider checking this task off your list well before your move to save time and reduce stress. We sure hope you found this useful. Don’t forget we’re here to make your home buying, selling, or refinancing just as easy with our Homes for Heroes real estate associates. They won’t only make the process easier for you, they will even help save you money. For more information, head on over to our signup page to get started (don’t worry, it’s completely free)!